Up until now we have spent a lot of time defining, loading and setting up. Good news! We're about to finally draw something! We jump lightly over some of the code that we have already explained and land on the part that draws the line. svg.append("path")      // Add the valueline path. This area occurs in the part of the code that has the data loaded and ready for action. The svg.append("path") portion adds a new path element . A path element represents a shape that can be manipulated in lots of different ways (see more here: http://www.w3.org/TR/SVG/paths.html). In this case it inherits the 'path' styles from the CSS section and on the following line (.attr("d", valueline(data));) we add the attribute “d”. This is an attributer that stands for 'path data' and sure enough the valueline(data) portion of the script passes the 'valueline' array (with its x and y coordinates) to the path element. This then creates a svg element which is a path going from one set of 'valueline' coordinates to another. We have covered the formatting of the axis components earlier. So this part is actually just about getting those components drawn onto our canvas. 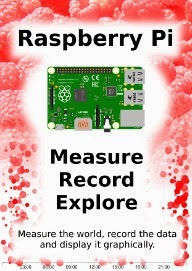 Feel free to mess about with these to change the appearance of your axes. Yep, pretty much as anticipated. The last part of the two sections of script ( .call(xAxis); and .call(yAxis); )call the x and y axis functions and initiate the drawing action. Well that's it. 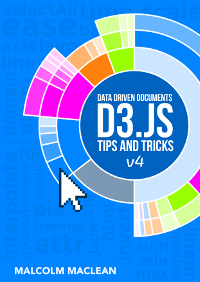 In theory, you should now be a complete D3 ninja. OK, perhaps a slight exaggeration. In fact there is a strong possibility that the information I have laid out here is at best borderline useful and at worst laden with evil practices and gross inaccuracies. But look on the bright side. Irrespective of the nastiness of the way that any of it was accomplished or the inelegance of the code, if the picture drawn on the screen is pretty, you can walk away with a smile. :-). 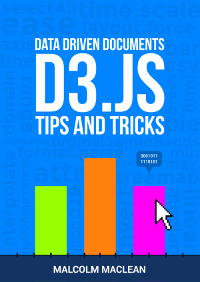 This is the last portion of the explanation of our basic d3.js graph. 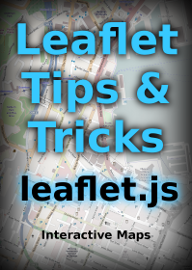 There are of course more posts to come on additional 'stuff' you can accomplish, but (in theory) what we have laid out here (and probably more effectively in the D3 Tips and Tricks document (free to download from the front page)) will form a reasonable starting point. Setting up the margins and the graph area.